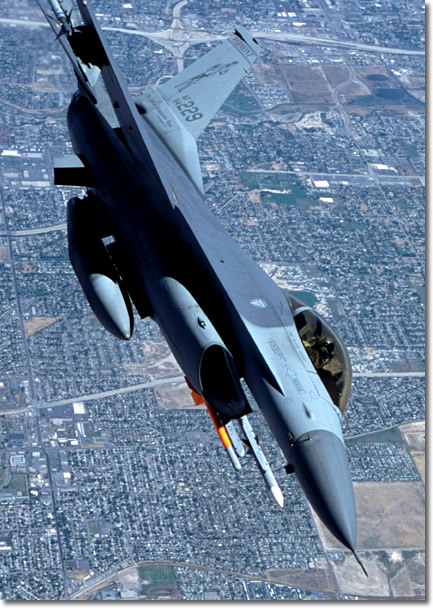 This Viper of the 134th FS, known as the 'Green Mountain Boys' pulls a tight turn over the suburbs of Salt Lake City in August 2001. Capturing aircraft in their element is both exciting and demanding. 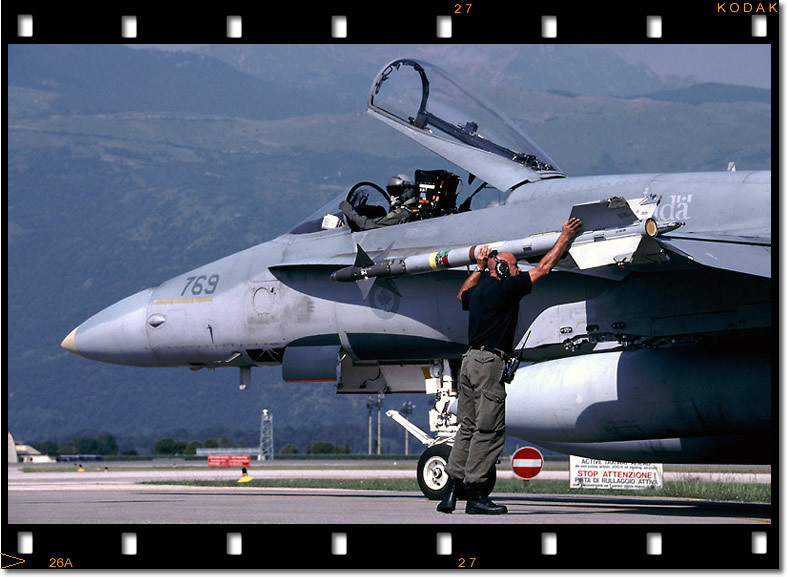 'ATTENZIONE' This Canadian CF-18A and its live AIM-9s are given the final once-over before departing Aviano on a patrol of the Balken no-fly-zone in September 2000. I am always looking to get the human element into my images. One of my all-time favourite photo locations, Nellis AFB. 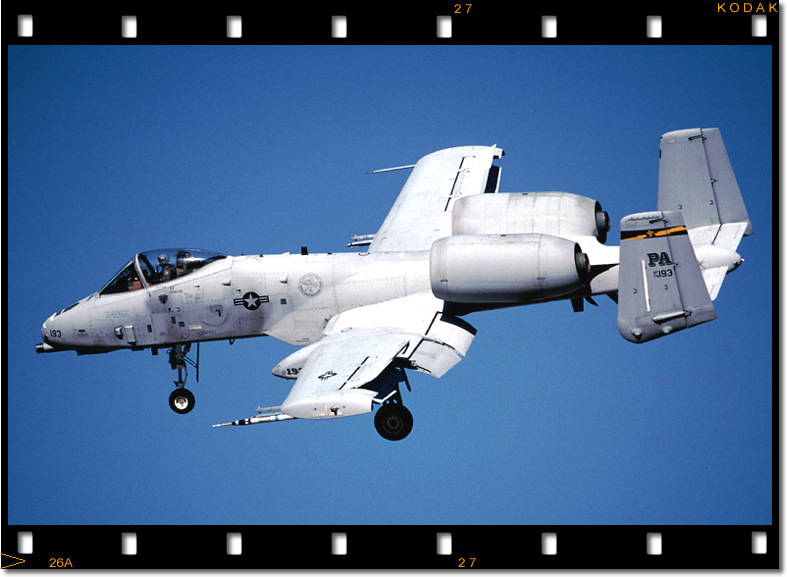 This 103rd FS 'Hawg' turns finals following a 'Sunrise break' onto runway 25L, so called due to Sunrise mountain just to the East of the base. B-2 89-0128 'Spirit of Nebraska' flies up to the boom of the 6th ARW KC-135R over Missouri in November 1999. The low sun to the west made for difficult shooting conditions, especially for the already un-camera-friendly Stealth bomber. It was still an unforgettable experience though! 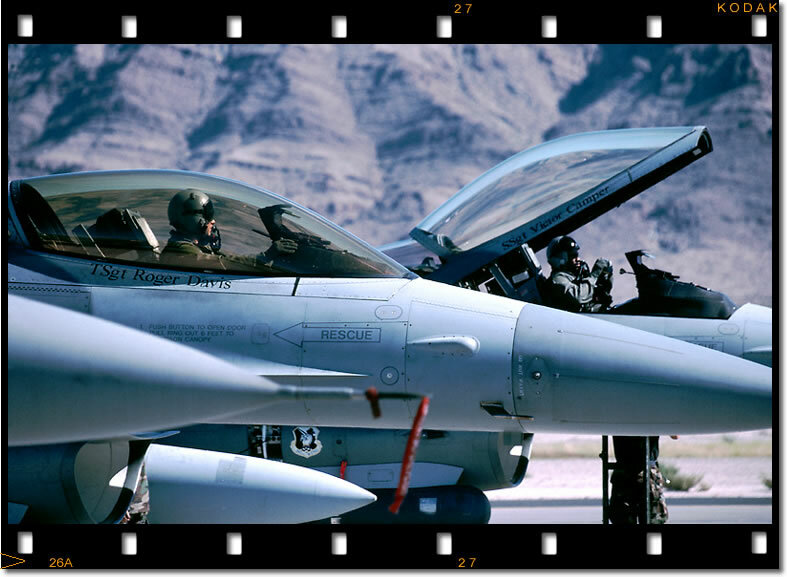 F-16CG pilots of the 68th FS 'Lightning Lancers' await their allotted start-up time at Nellis AFB in October 1998. Although shot at high-noon the light worked well on this shot, but its normally the time to put away the camera and go get lunch! Seen flying over the Great Salt Lake, Utah, these Bold Tigers Strike Eagles were posing for my camera whilst en-route to the ranges in Utah during the Tiger Meet Of The Americas in August 2002. The unnatural colour of the lake makes this shot stand out. EOS-3 28-105mm K64 250/f8 Using narrow depth of field, I isolated the furthest VFC-13 F-5E pilot because he looked right at the camera for a second. If given the time and the access, I'll look for these more artistic shots. The possibilities are endless. 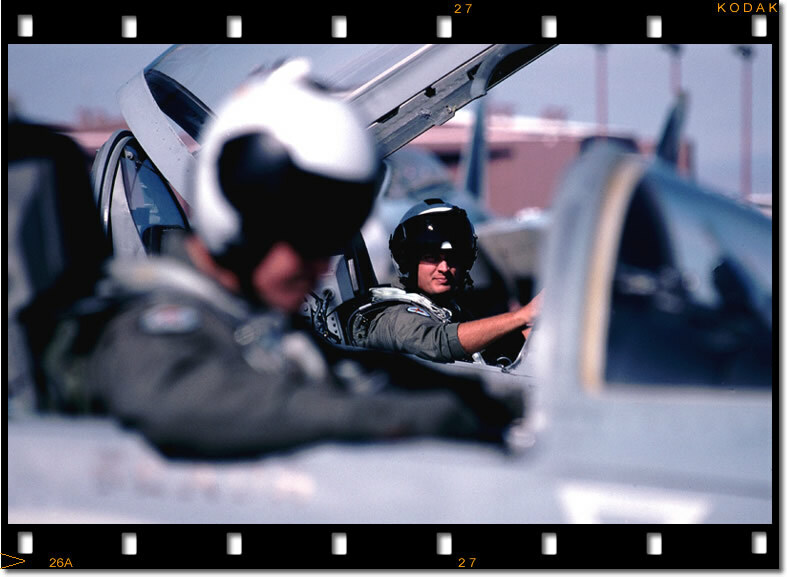 My passion for both aviation and photography began in the mid-seventies. Living under the flight path to Heathrow it was airliners that first ignited my interest. Then I visited Farnborough airshow in 1974 and can vividly remember my first look at both the SR-71A and the C-5A and I was hooked! I've never been content with just looking at aircraft though, I want to capture them on film and have always attempted to take photos that try to convey the power and grace of flight. Some of my favourite images contain the human element; either ground personnel or aircrew and I prefer these types of shots to aircraft-only 'portraits'. With great difficulty, I have chosen a small selection of images that I hope display my skills as a photographer, hope you enjoy them. 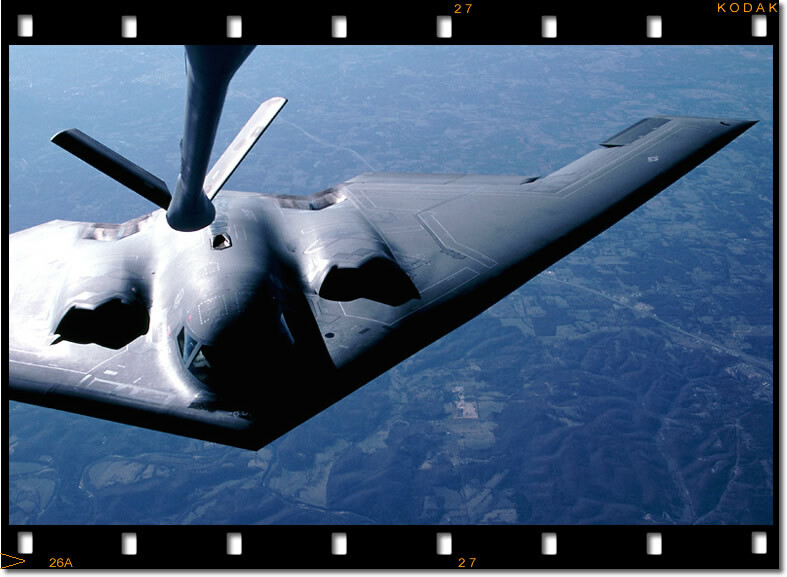 Subject-wise, it is primarily USAF aircraft that interest me, although I will shoot any subject if the opportunity arises. In recent years I have expanded into writing articles and this has enabled me to gain better access and also led to some air-to-air photo opportunities. 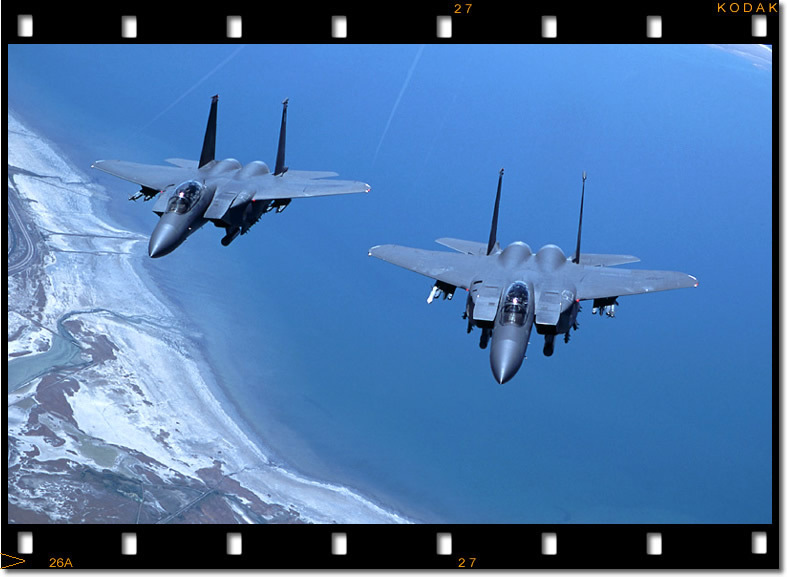 I have been fortunate to achieve my ambition to fly in a KC-135 and also meet some really great people along the way, but there are a few more places I want to take my camera so I am looking forward to reaching my next goal.